Observation - Obs 5 - UK and Ireland. Description: This tree is also a Silver Birch -(Betula pendula) which has green foliose lichen growing mainly on the east side of the tree. 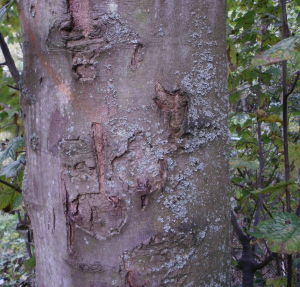 This tree is also a Silver Birch -(Betula pendula) which has green foliose lichen growing mainly on the east side of the tree.